Ernest Ochsner was born on January 28, 1944 in Isabel, South Dakota. 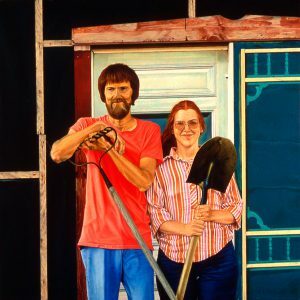 He maintains a studio in Aurora, Nebraska and is mainly a self-taught artist, using his own photographs to create photo-realistic paintings of people and places. Ochsner’s work can be found in numurous collections throughout the U.S.